Don't worry we can still get over this and this is a tip that for some reason people just don't think of or don't know their in their rights to do so. I can hear you shouting come on what is it - spill the beans. You just build another fence on your side of the property that can even be touching the existing fence. How about that, bet you weren't thinking about that, hey? Now this is the thing, your neighbour will not have any say or rights on the new fence because it's on your property. This tip can absolutely save you thousands of pounds in legal fees for disputing boundary's. 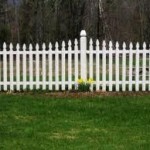 The other dispute that also often crops up is the access to maintaining your fences, walls or property. Now again look on your title deeds to see if anything is documented, if not and talks have broken down there are other actions that you can carry out. I have added a couple of links below where you can check this out further. http://www.legislation.gov.uk/ukpga/1992/23/section/1 http://www.adviceguide.org.uk/england/housing_e/housing_problems_where_you_live_e/neighbour_disputes.htm Fencing Fences in homes today are more likely to be used to define boarders between properties than anything else, whether it is a front, side or back a fence. 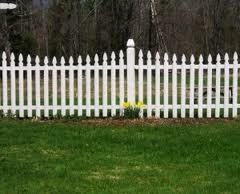 When people ask for a fence I just don’t think they realise how many different types and sizes of fencing there are. 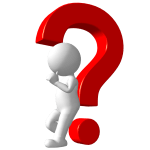 What we are going to do is go through the different types of fencing that are constructed from wood. Picket also known as palisade fencing Picket fencing usually has 2 inch (50mm) x ½ (13mm) boards also known as pales with the same gap left between them, nailed vertically on 2 cross rails of 6 feet (1.8)wide before they are attached to 3 x 3 inch (75mm x75mm) posts. These cross rails can be longer put if they are not supported in the middle they will bow under the weight of the wood. 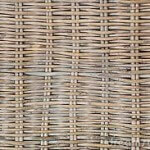 This fencing can come with all types of finished tops as you can see in the images. 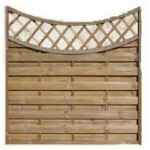 Waveney lap panels These panels our probably the most common panel you will find in gardens today. The thin tapered feather edge 4 or 6 inch (100 or 150mm) wide boards are nailed to 3 or 4 vertical battens overlapping each other. These panels give you privacy but are not the strongest of panels on the market but are one of the cheapest. These panels are usually 6 feet (1.8 metres) wide and start at 3 feet (0.9metres) goes up to 6 feet (1.8 metres) high. These are either nailed on 4x4 inch (100mm) wooded posts or slotted into concrete posts. 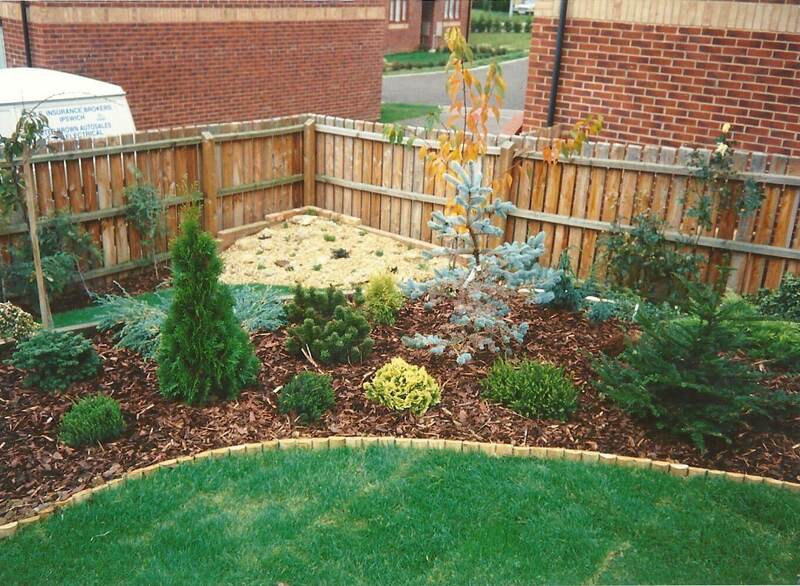 It is also advisable to always use either wooded or concrete gravel boards that keep the fence off the ground to stop them from rotting out. Close board Panels These panels are made up of vertical tapered cladding boards also known as feather edge boards being nailed onto three cross rails also known as Arris or Cant rails and over lapping the previous panels by 1 inch (25mm). 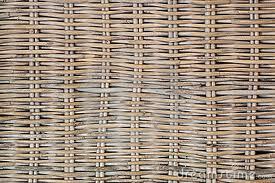 These can vary in width from 6 feet (1.8 metres) to 12 feet (3.4 metres) but must be support in the middle to stop them bowing down the long the length. You can also choose to have a topping rail put on top of the feather edge. European or Continental Panels These panels come already constructed in many designs from plain chevron panelling to incorporating trellis panels as well. They come as flat, concave or convex tops. These are very strong decorative panels as they having boarding nailed on both sides of the supporting battens and all encased inside a frame. You do have to be bit of a carpenter if you need to shorten these panels to make them fit in a smaller gap but its not impossible. Trellis Fencing Again these come in many different heights and designs. 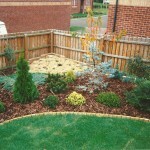 You can have them just to top off a fence or full panels to form the fence itself. 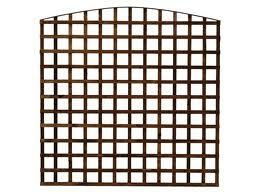 Garden trellis is a very popular product for adding climbing plants to fences and your borders. 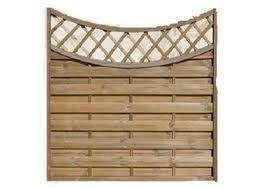 The trellis is absolutely ideal for climbing plants horizontally on the top of fences or directly onto walls. 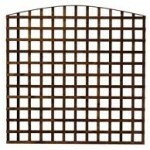 The trellis is perfect for creating a boundary by supporting your climbers whether it is in your front, side or back garden, or even dividing up your garden. Post and Rail Post and rail are made up of just that. The posts are inserted into the ground and the rails are then nailed onto the posts. The length of rail will stretch across three posts. The second rail will be cut in half so it then on stretches across two posts but will then have full rails from then on. If the fence is three or four rail then the third rail will be a full rail but the four rail will start off with a half rail again. The reason for this is so the joints will not be in line with each other so it making a secure and strong fence. Chestnut fencing This fencing is usually used for livestock as it comes in rolls of 12 and 25 metre rolls. Chestnut steaks are held up in a vertical position by three strands of twisted wire. To erect the fence it is only a matter of knocking in pointed round posts in the desired fence line and nailing the fence to the posts with staples. Hazel Wattle or Hurdle fencing These our specialised panels that are made up of hazel sticks that are interwoven in and out of bigger vertical sticks and back around themselves to lock themselves into position. There are held up in position by nailing those using staples into half round posts. There are still some very skilled trade’s people who specialise in building your fence on site to give you a continuous fence without joins.